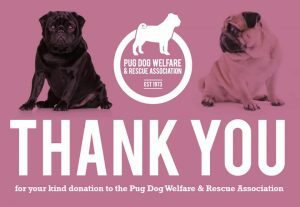 For the first time ever in the history of our Charity, we have today been asked to find a new home as soon as possible for Pug No. 350. This is due to a relationship breakup and a move to rented accommodation where, sadly, the pug is not allowed. 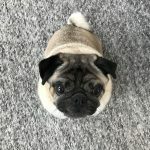 Who knows whether we will also see Pug No. 351 – and more – before the end of the year? 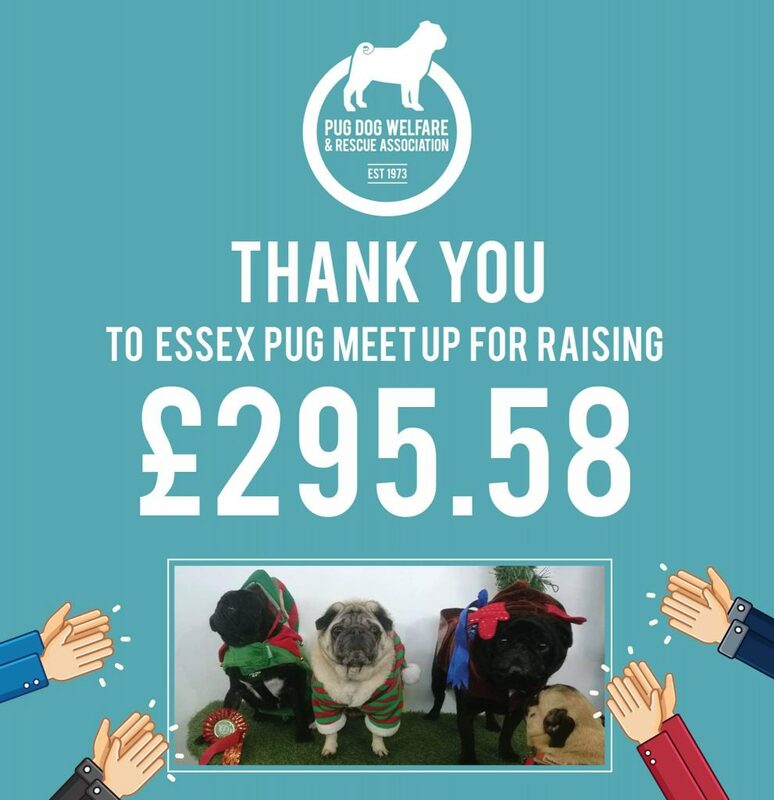 And this is why we and our supporters and volunteers are continually fundraising by running auctions, all sorts of other events, walks, meet-ups etc. Your help and support have never been needed more than now. 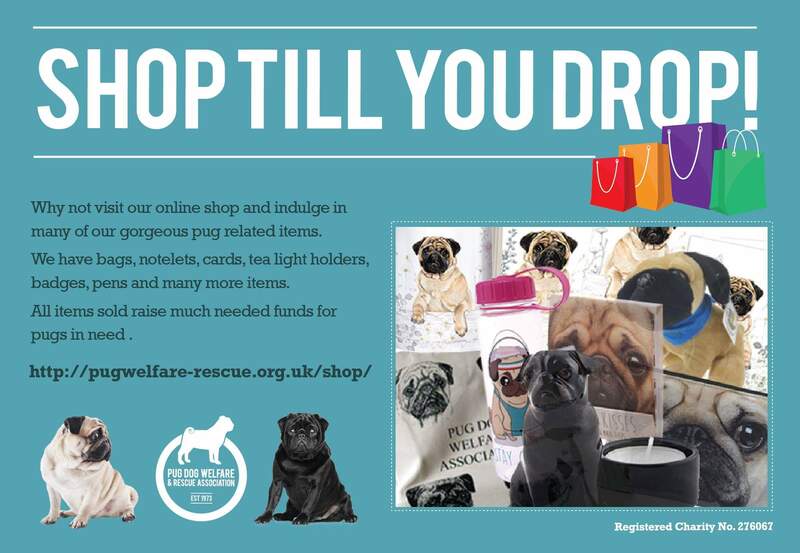 Please visit Donating to Pug Dog Welfare to help Pug No. 350 and the others who will follow. And they did follow. Another 6 pugs. 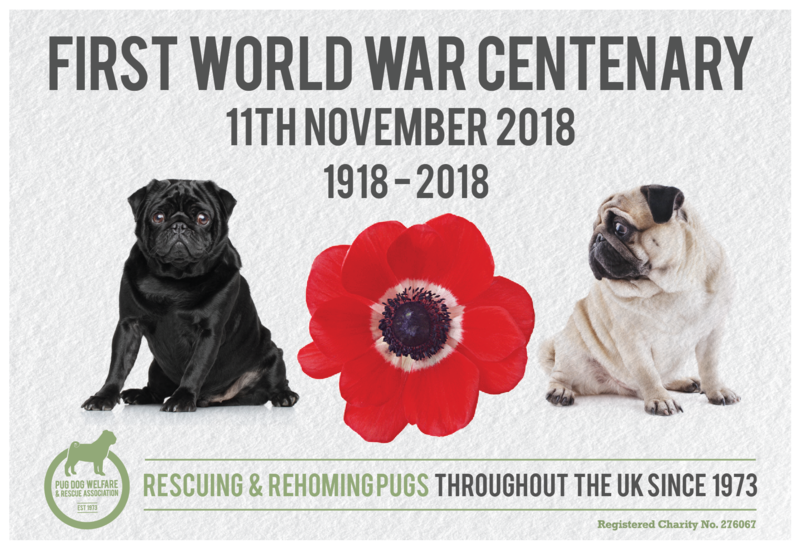 Our total intake onto the Rehoming Register for 2018 was 356 pugs. That’s almost one pug per day. And on New Year’s Day we were asked to find a new home for Pug No. 001 for 2019. Very sadly, this is due to the death of his owner. 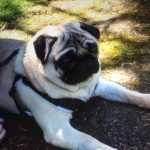 This entry was posted in Blog, Fundraising on 2 January, 2019 by Janet. Our first thank you of 2019! 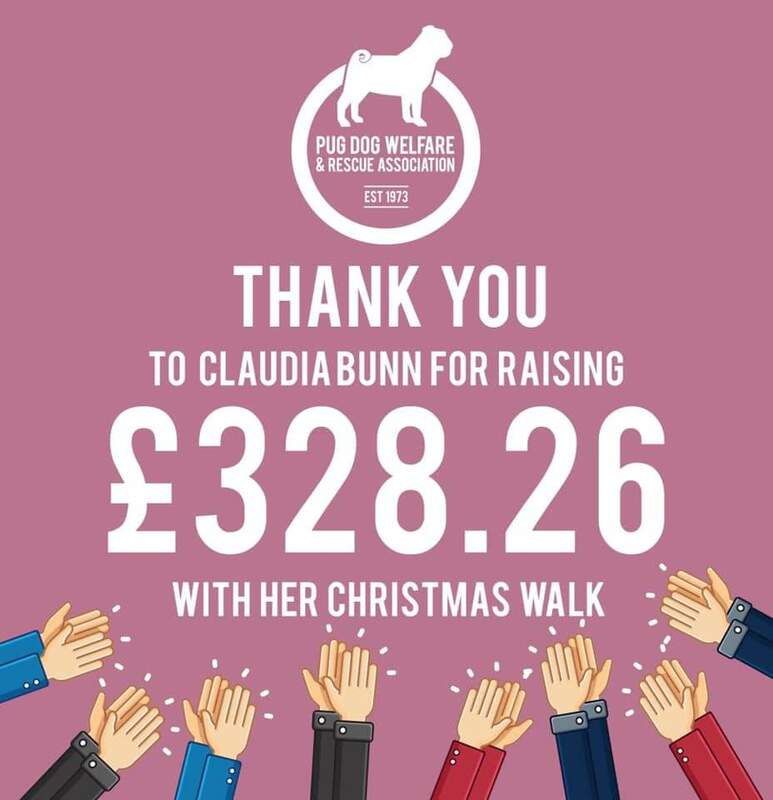 Thank you, Claudia, for your amazing fundraising amount! This entry was posted in Blog, Fundraising on 1 January, 2019 by Janet. We find that many of our boys are overlooked in preference for the girls. Why, we’re not sure. The boys are equally as special and just as loving. Here are just some of our adopted boys in their homes. New adoption applications can be submitted online starting Monday 7 January. This entry was posted in Blog, Fundraising on 31 December, 2018 by Janet. This entry was posted in Blog, Fundraising on 30 December, 2018 by Janet. Another thank you – this time to Colin and Jo who raised a fantastic £150 for PDWRA from their Christmas Party! 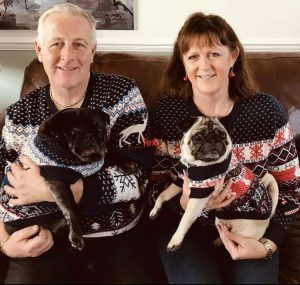 We just love those matching jumpers! This entry was posted in Uncategorized on 28 December, 2018 by Janet. 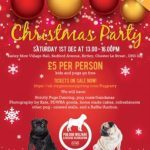 Festive thanks to Anushka Fernando and Guildford and Surrey Xmas Party held on Saturday 22 December – they raised £124.40 for PDWRA! This entry was posted in Blog, Fundraising on 28 December, 2018 by Janet. An enormous thank you to everyone who has donated and bid on items in this auction. 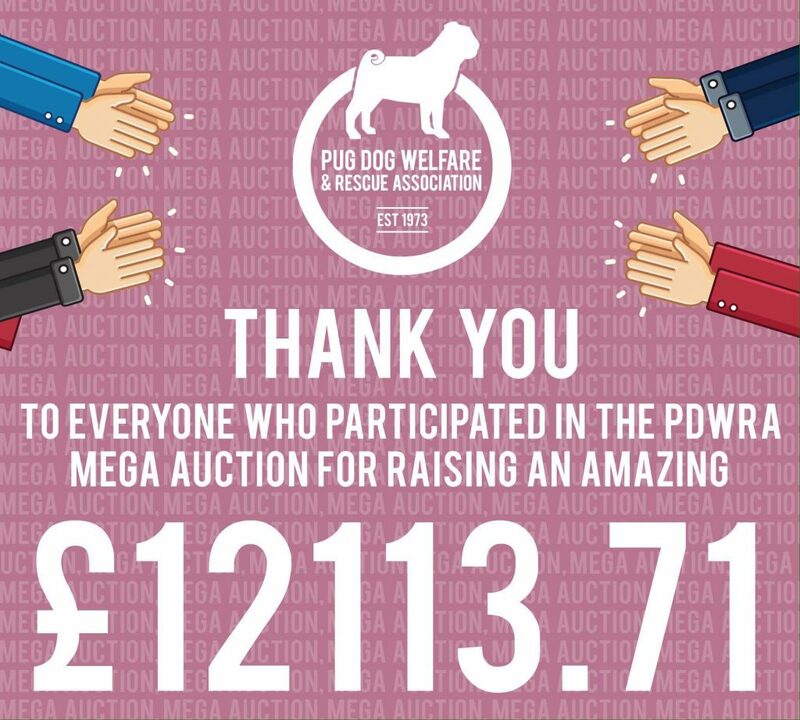 You truly are amazing supporters of PDWRA. As before, Rachel and team have worked tirelessly to make this event such a wonderful success. 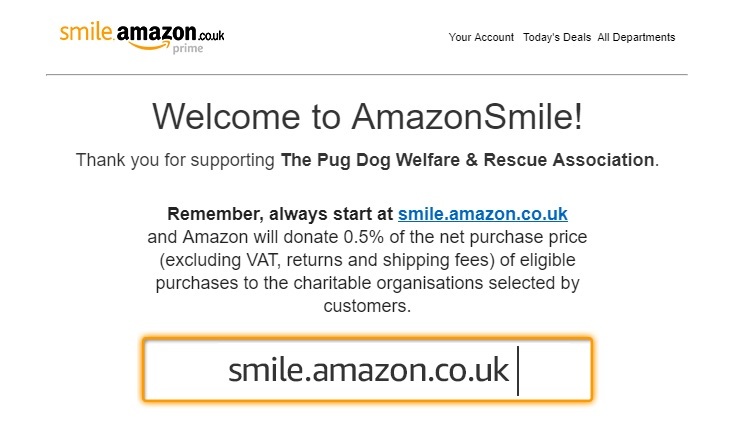 We are truly grateful, and so are all the pugs who will benefit from your donations. This entry was posted in Blog, Fundraising on 18 December, 2018 by Janet. 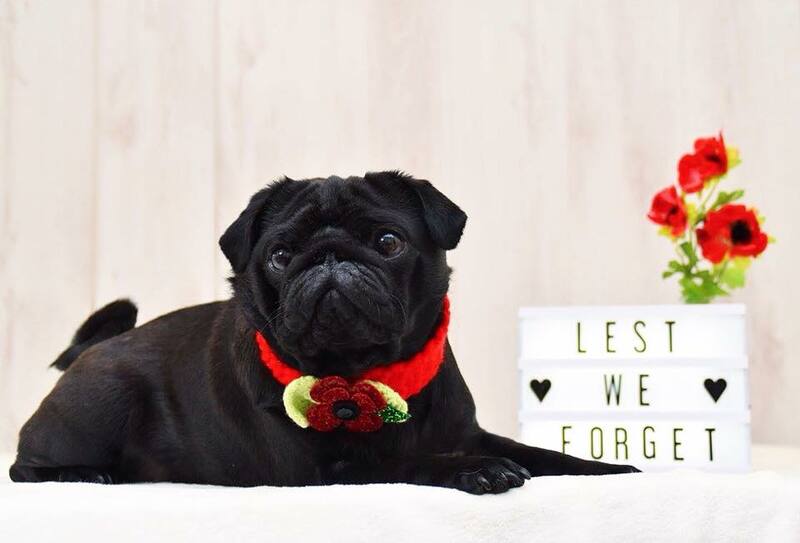 Why not buy one of these limited edition, branded dog leads for your pug this Christmas? When sold out they won’t be available again. Only £6.50 + p&p. All orders are usually posted within 24 hours. 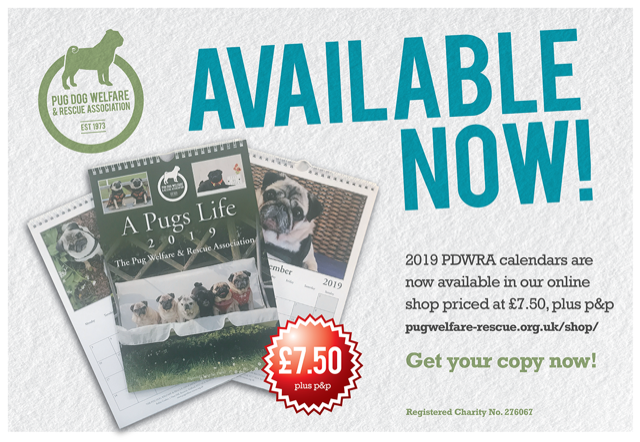 Click https://pugwelfare-rescue.org.uk/shop/ for details of how to purchase. This entry was posted in Blog, Fundraising on 1 December, 2018 by Janet. We have the BEST foster carers – we know that – but now their family members are flying the PDWRA flag too! 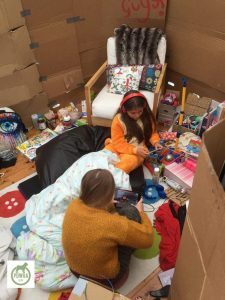 Massive thanks to foster Mum Extraordinaire Maria, and her daughter Pip, who raised £135 for us by “Living in a Box” for 24 hours! 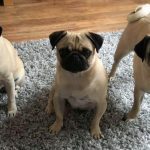 Pip and a school friend were sponsored to do various tasks whilst “in the box” and of course their foster pugs wanted to “help” too. What goes in … has to come out again after 24 hours! Keeping busy … At least their bedrooms will remain tidy! This entry was posted in Blog, Fundraising on 28 November, 2018 by Janet. This entry was posted in Blog, Uncategorized on 19 November, 2018 by Janet. This entry was posted in Blog on 9 November, 2018 by Janet. 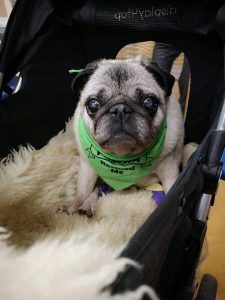 Walter would like to thank everyone who stopped by for cuddles at the recent Northern Pug Dog Club Championship Show, where he opened his treasure chest to help raise money for PDWRA to help other pugs like him. Big thanks to Walter, and to Penny for bringing him to the Show! This entry was posted in Uncategorized on 7 November, 2018 by Janet. This entry was posted in Blog, Fundraising on 3 November, 2018 by Janet. Some dogs breeze through it, but most don’t. Yes folks, it’s the noisiest week of the year, with both Bonfire Night and Halloween coming so close together, it feels like there’s fireworks on every night for up to ten days, and it’s often a week of abject fear and misery for many animals. 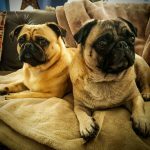 Dogs’ hearing is approximately four times more sensitive than ours, but it’s not just the volume that affects them, it’s the fear of unknown. Those loud noises signal danger to them, as does the flashing lights and the smell of burning and gunpowder. The whole experience is completely unpredictable, with a cocktail of sensory overload that can send your poor dog into total panic. It can be profoundly upsetting and negative for them, but you can help. Building a ‘doggy den’ could help your dog feel safe and secure during the bangs and pops of fireworks. 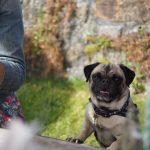 It’s about creating a safe environment that your dog can retreat into; a feeling of warm protection that could make all the difference. 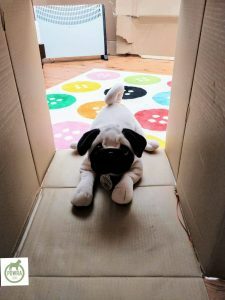 Dogs Trust have special tips on creating the perfect den; “The doggy den should be built away from hubbub of the family home, somewhere quiet where the dog can rest peacefully. 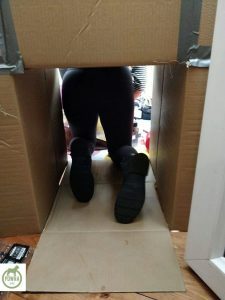 This will very much be a safe space for the dog, but they should be able to move in and out of the den freely; making it as cosy and snug as possible is a must, but your doggy should be able to see out of the den should she want to. 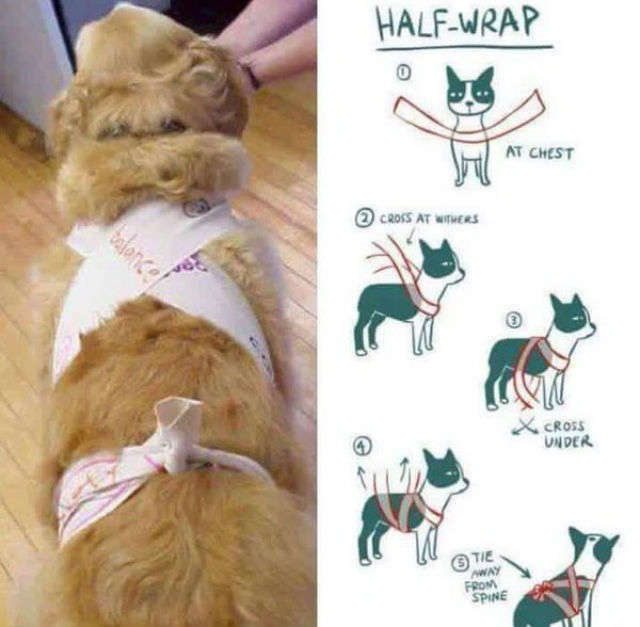 As an alternative, many dog lovers have found that ‘wrapping’ their dogs makes them feel safe too. Perhaps because it feels like a hug. Instructions shown in Lili Chin’s drawing: just don’t tie it too tight!! Enjoy your fun, be safe, and love your pugs. Doggy drawings by Lili Chin, many thanks. 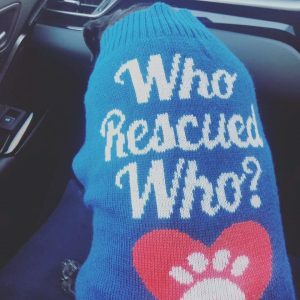 Grateful thanks to PDWRA adopter (twice!) Sam H-L for permission to use this text. This entry was posted in Uncategorized on 1 November, 2018 by Janet.